In the navigation pane, select a database, server or instance. You can select the root instance node to export all the available databases at once. 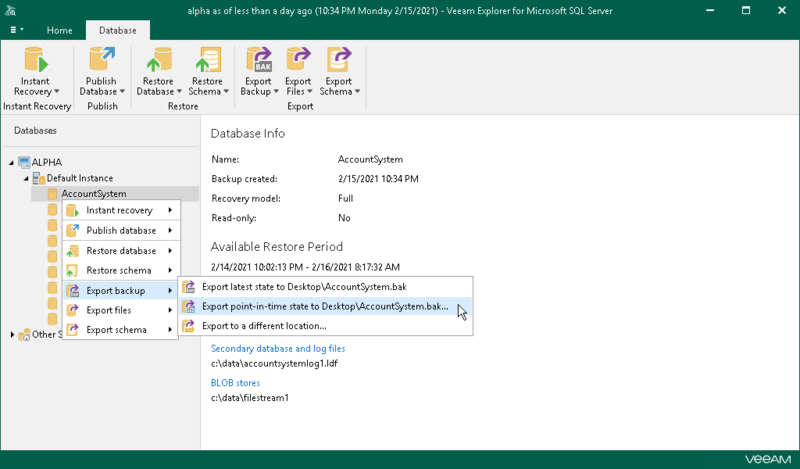 On the Database (or Server/Instance) tab, select Export Backup > Export point-in-time state to Desktop\<db_name> or right-click a database and select Export Backup > Export point-in-time state to Desktop\<db_name>.